Last season, Antonio Conte endeared himself to Chelsea supporters by leading his side to a Premier League title with what many perceived to be an average line-up by title-winning standards. The Italian tactician utilised a rather unusual 3-4-3 formation, and after showing its effectiveness to the football world, it soon went from uncommon to fairly common. Hence, it’s fair to say Conte was a trailblazer when he arrived at Stamford Bridge. Conte truly made Chelsea his team as he instilled his tactical philosophy in the Blues and took them from a 10th-place finish in the 2015/16 season to an undisputed title victory in the subsequent campaign. Since then, though, Chelsea fans have become divided over whether Conte should be allowed to retain his role as Chelsea boss beyond this season following Chelsea’s lacklustre campaign thus far. The Blues currently sit outside of the top four and having been already knocked out of the Champions League thanks to Barcelona; there’s a genuine chance that Chelsea will be playing Europa League football next season – and that possibility pretty much sums up Chelsea’s season. The primary cause of Chelsea’s problems this season is their transfer business. Having acquired the services of the likes of Tiemoue Bakayoko, Alvaro Morata, David Zappacosta, Olivier Giroud and Emerson Palmeri, Chelsea evidently lack strength in depth and quality options in all areas in the starting XI, which a team of their stature is expected to have. Loaning Batshuayi out to Dortmund has also come back to bite Chelsea with the Belgium international currently scoring goals for fun. 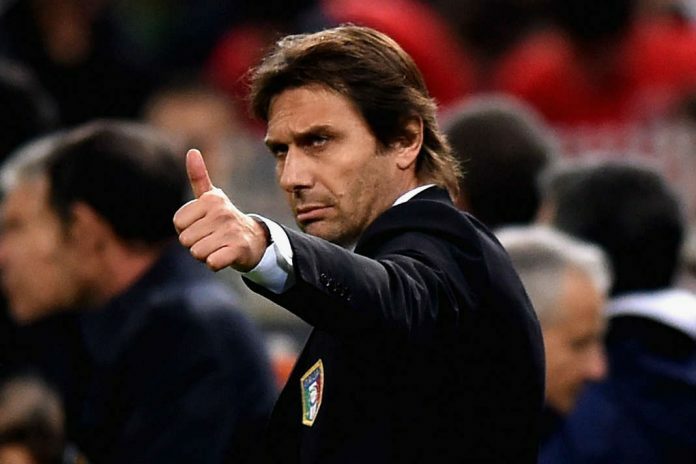 Chelsea’s transfer business has also caused a dissonance between Conte and the board with the Italian tactician clamouring for a change in the club’s transfer policy. Alvaro Morata hasn’t lived up to his hefty price tag having failed to influence Chelsea’s performances this season – the Spaniard’s showings up front have resulted in Chelsea fans rueing Diego Costa’s move to Atletico Madrid as the Brazil-born striker played a major role in Chelsea’s title win last term. In games where Costa failed to score for Chelsea, he was still influential due to his aggressive style of play which often threw defenders off their game and upset the balance of the opposing team. The same can’t be said for Morata. Most of the time, in games where the former Real Madrid man fails to score; he doesn’t contribute much else to the team. There are times when he brings other players into play, but they’re too infrequent to win Chelsea games consistently. This Chelsea side are markedly different to last terms. They don’t look like Conte’s team. It’s almost as if the former Juventus boss is now a ceremonial monarch at the Blues having been unable to acquire the players he wanted in the summer. Reports suggest that former Barcelona manager; Luis Enrique will take over from Conte in the summer thus potentially continuing Chelsea’s system of managerial changes every few seasons. Antonio Conte has two months to turn Chelsea’s fortunes around though, but it remains to be seen if he can amid the rumours of an impending managerial change and the furore from the fans.